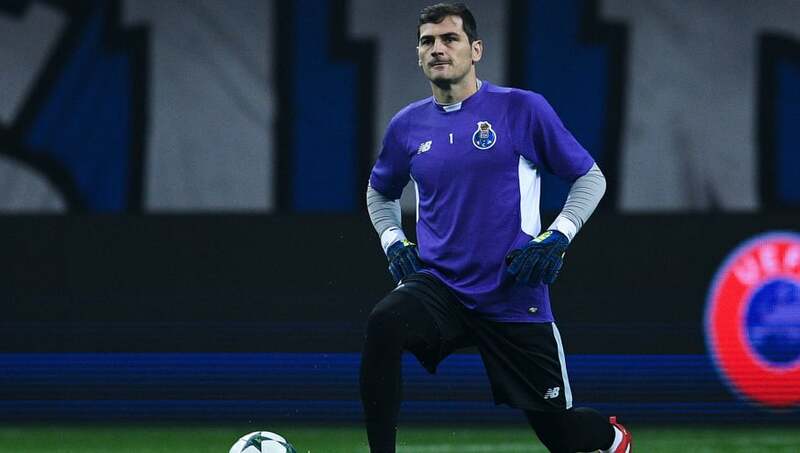 Real Madrid legend Iker Casillas has had his say on who he thinks is the current best goalkeeper in the world, and he has steered cleared of the obvious choices of Manchester United's David De Gea and Bayern Munich's Manuel Neuer. Nope, in fact the 35-year-old has opted for Chelsea's Thibaut Courtois as his world number one. Speaking to ​Radio Onda Cero,​ the Porto player said: "Courtois is the best keeper in the world right now. "He is having a great season at Chelsea. He may not be playing in Europe which people maybe pay a bit more attention to, but he is playing as well as he usually has in these past few seasons. Courtois would be a great goalkeeper for Real Madrid." Casillas' comments could be construed as attempting to hint at the Belgian stopper to make a move to the Bernabeu this summer. Courtois has been heavily linked with a move at the end of the season, with Real boss Zinedine Zidane believed to be looking for an upgrade on current number one, Keylor Navas. The Chelsea keeper has been in scintillating form this season and has only conceded 16 goals in the league (the joint lowest in the Premier League). He and his Chelsea teammates look set to land a second title in three years as they currently reside at the top of the league by a huge margin of nine points. €9 million. Yet he was judged to be second choice to then keeper Petr Cech and was loaned out, somewhat ironically, to Real's city rivals Atletico. With the Belgian in the side between 2011-14 Atletico won a league title, Copa del Rey and a Europa League as well as reaching the 2014 Champions League final where they lost to Real.